Abbey Roofing has founded over 30 years ago, and since then have been one of the leading roofing contractors in Cirencester and the surrounding areas. We have a great reputation for providing our customers with a fantastic service, which is backed up by the Excellent grade that we achieved as a member of the Lead Contractors Association. We train our roofers to the highest standards ensuring that all of our customers will receive a first class service from start to finish. We have many projects in the Cirencester which shows the great work that we do. Our new roofs and roof repairs are available to both domestic and commercial customers, and we also take on projects for listed and historical buildings. If you would like any more information on any of our lead roofing, roof tiling, roof repairs, chimney repair or any other services that we provide, you can call us and speak to a member of our team, or you can enquire by using our contact form, and we will get back to you as soon as possible. Contact us today for a FREE quote! As one of the leading roofing businesses in the area, we have a lot of experience in the preparation full roof repairs, the installation of flat roofing along with all other roof types. 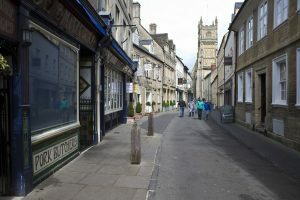 The projects that we have done can be seen across Cirencester and the towns surrounding, which consist of both commercial and domestic buildings. We use only the best materials that suit our customers, and make sure that they are getting a quality roof that will last for a long time, saving our customers money in the long-term. We have always done that extra bit in making sure that our customers are happy with the service that has provided them. To start off we come out to your property and give a free survey on the roof, and will then provide you with a none-obligation quote. Cirencester is a popular town based in Cotswolds, with a population of over 19,000 people. It is popular for having a large, Roman based museum, and having a rich history with the Roman Amphitheatre still existing in the Queens area. Many big names have come from Cirencester, such as ex-Arsenal footballer Tony Adams and ex-Black Sabbath, Whitesnake and Rainbow drummer Cozy Powell. Cirencester is an easily accessible town for our professional roofers to get to and from because Cirencester is the hub of a significant road network with important routes to Gloucester (A417), Cheltenham (A435), Swindon(A419) and more. For more information on all our services please call us today on 01285 360 107.